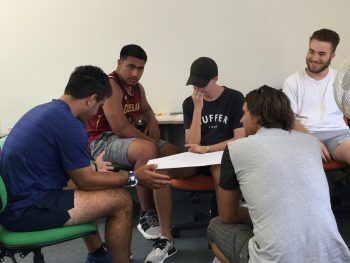 Volunteer Nelson’s week-long Young Leaders Programme kicked off on Monday this week for a small group of 16-24 year olds beginning their path to becoming accredited Level 3 youth workers through Careerforce. Gordon Oldfield, Volunteer Nelson’s Manager visited the group at NMIT midweek to hear how they are doing and to talk about volunteering and the experiences he has had with Volunteer Nelson. The group of ten are learning about all aspects of project management and leadership, including ethics and risk management planning to attracting and managing volunteers as they help plan, deliver, implement and evaluate a youth-development project. Gordon spoke to the group about Volunteer Nelson and volunteering in general and described the process around their forthcoming practical fieldwork. Each participant will identify a community volunteering project that interests them, recruit a further ten young volunteers to lead and manage through the project. They will also be expected to mentor a young person that will help build on their leadership skills. This will bring the reach of the programme to around 110 young adults over a six-month period. “Young adults tend to have a sharpened sense of social justice, especially as they begin to see the issues that unfold around them as they experience life. We look forward to seeing what projects they come up with,” says Gordon. Early feedback from the participants includes identifying projects that highlight issues around youth mental health and all aspects of self-care, to putting fun into fitness and healthcare, and projects that bring community volunteer staffing needs together with young volunteers passionate about particular community needs and activities. Asked how they are enjoying the course and what they expect to gain from the experience, this is what they had to say. 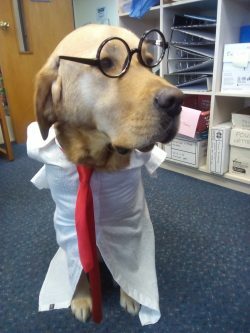 next post: Every office needs a dog (like Ernie)!